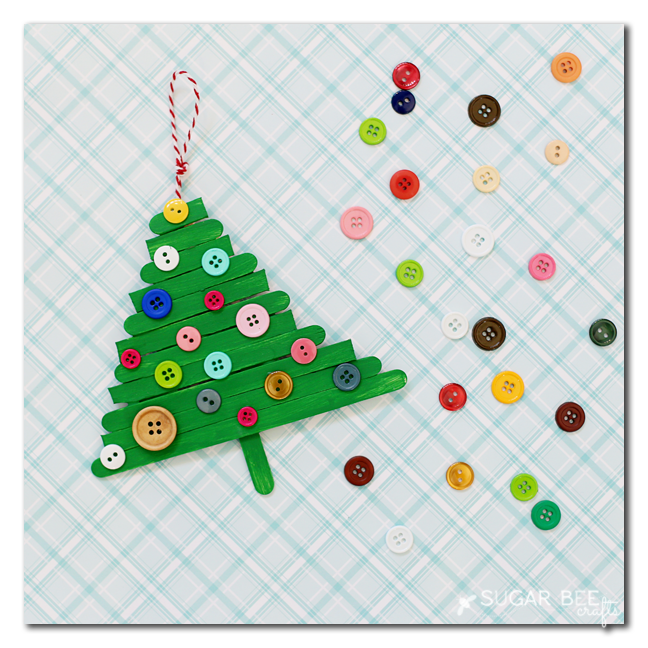 Kiddos love crafting during the holidays. 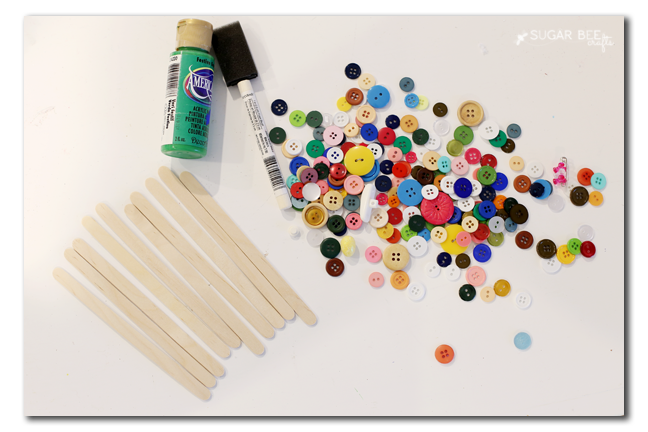 They will love this fun project - it involves painting and gluing, two favorite things for kids. 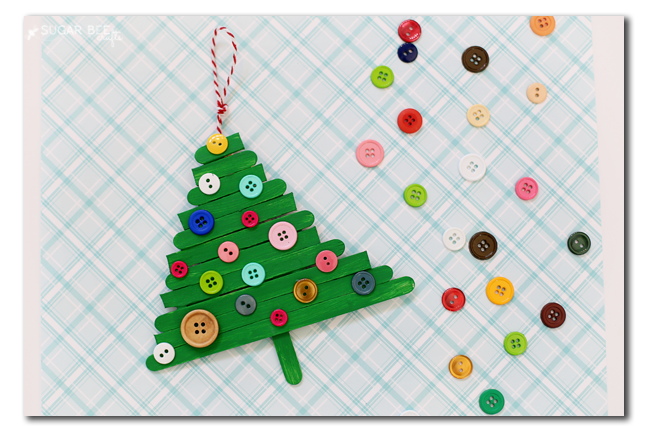 Ornaments are a great craft for kids, because they can revisit them each year that they decorate their holiday tree. 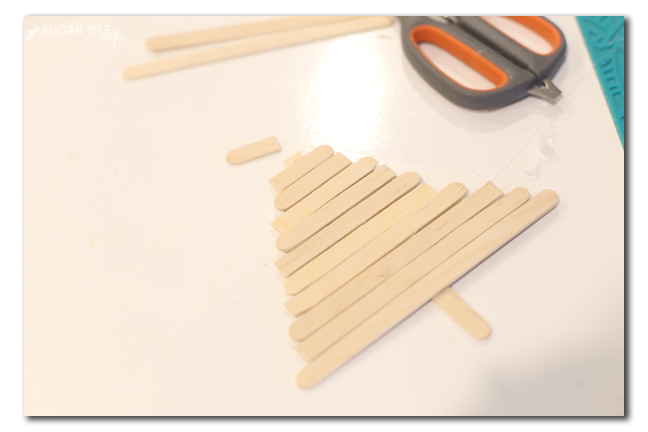 And adult will need to cut the sticks into various lengths. This can be done with a sharp pair of scissors. Now you'll need to create the tree. 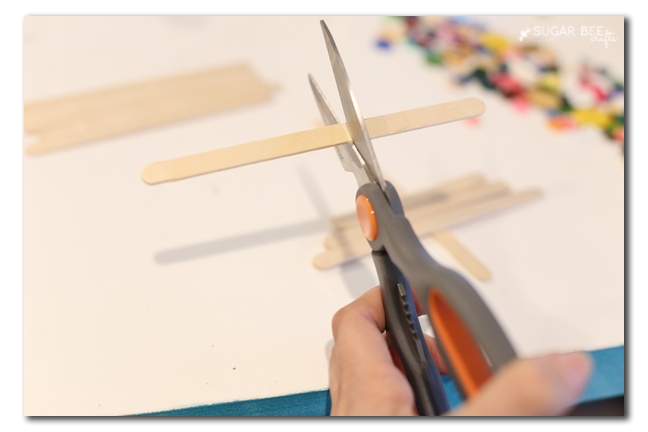 You can either use hot glue (adult help with this part), or tacky glue (takes longer to dry). 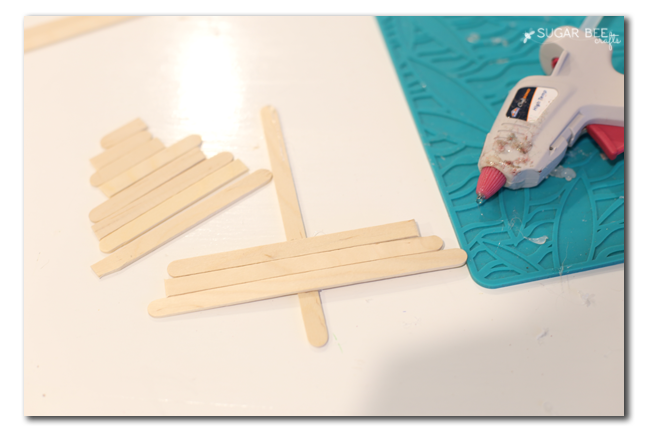 Using one stick as the base, build the other sticks on top of it, going from longest to shortest. When you get to the top of tree, if the base stick (underneath) is too long, just cut it off to size. You don't want it to stick past your final small branch. 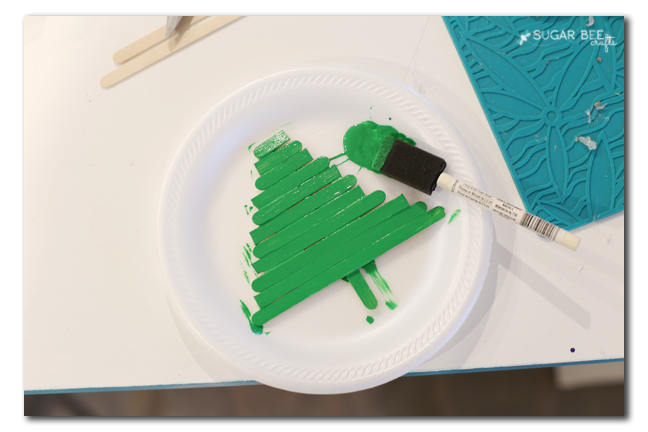 After the tree is assembled and dried, it's time for paint! Paint green and let dry. 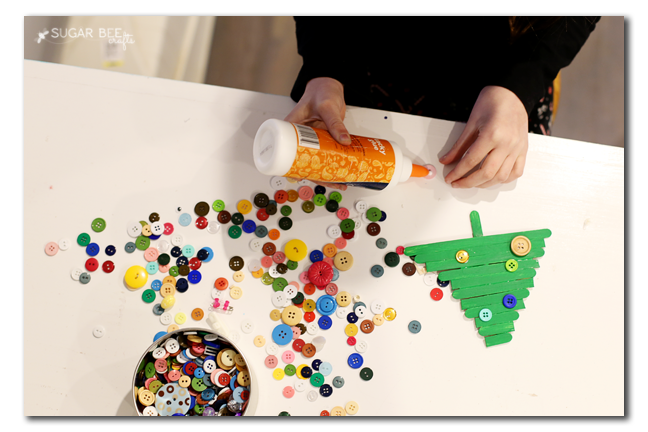 Once the tree is completely dry, adhere buttons using glue. You can make a pattern or make it random. 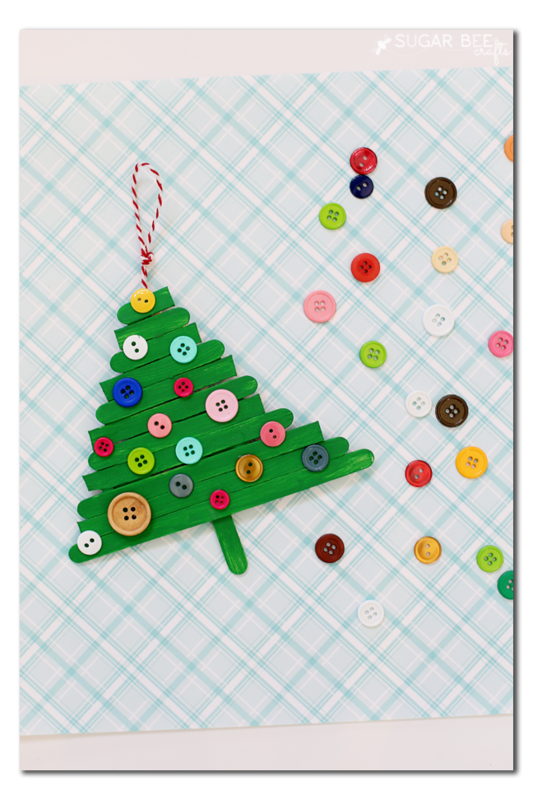 Once dry you can glue a small piece of twine to the back to use as a hanger for the ornament. And that's it! Hang and enjoy!